Microphone – A cordless lavaliere microphone lets Mike move around the room and interact with the audience. Lectern – Mike uses it to store materials and props so a non-transparent lectern is preferred. Please place the lectern on the speaker’s right facing the audience. Audio or Video Recording – Any recording of Mike’s program is not included as part of the speaking agreement. Recording fees can be discussed on an individual basis. (If the session is recorded, make sure to have the audience recorded and synced with the speaker’s microphone – this gives you the best end result). Room Configuration – Mike prefers to have a center aisle so he can mingle with the audience. He would like a 6 foot draped table perpendicular to the audience for materials. Head Table – Please arrange for any tables that are on stage to be back far enough so Mike can walk in front of the table and interact with the audience. Seating off stage during the speech for those at the table would be preferable so everyone sees the front of Mike’s head instead of the back! Handouts – An electronic master copy will be sent in advance. Please have a copy available for al1 participants before the program. 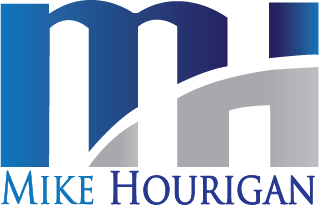 Introduction – Even though a sample introduction is included on Mike Hourigan’s website – a customized introduction will be emailed to you before the event. Please use the customized introduction as it is specifically designed for your audience. 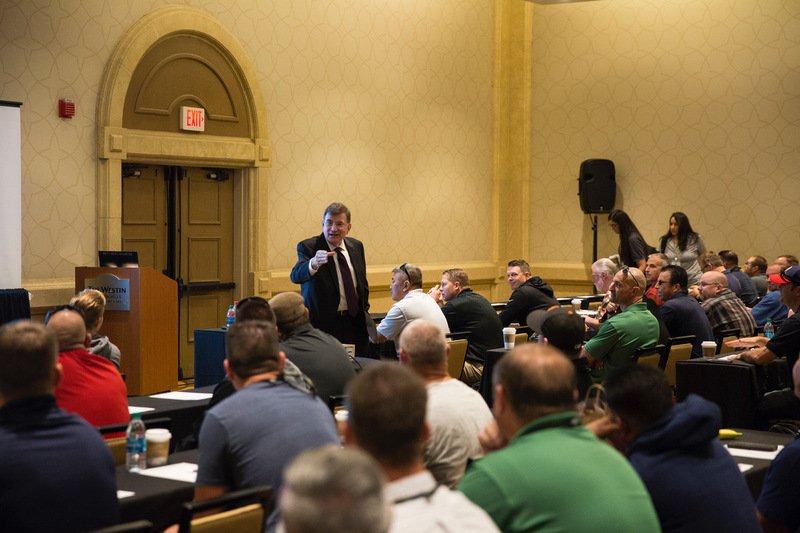 Electronic Distractions – Before introducing Mike, please ask attendees to turn off any device that rings, buzzes, whistles, chimes or plays the Notre Dame fight song. Book signing table – Before the program, please have a 6 foot draped table with 2 chairs placed in the back of the room. Have greeters seat people in the front rows first, this prevents late arrivals from distracting others. These front rows should be as close as possible to the stage. As a rule of thumb – no further away than 6 feet for the stage. Set the room up wide as opposed to deep. If the room is a rectangle, have the stage area in the middle of the long wall – not at the end with the short wall. If you are expecting 450 people, supply seating for 400 which will ensure every seat is taken and reduces the possibility of empty spots in the audience.